Join us in April to enjoy sunshine, long days and deep snowpack in Alta. When it snows, April can offer up mid-winter deep powder ski conditions, and when the sun comes out, the spring skiing is beautiful. 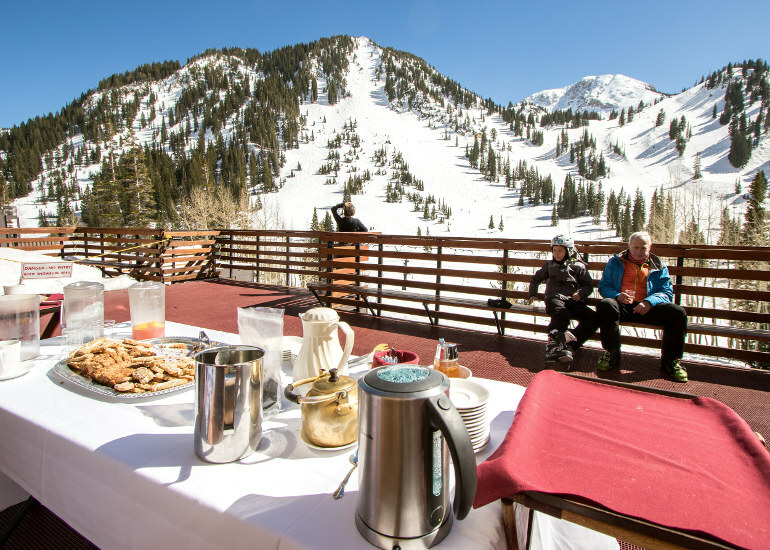 Join us for an Alta Lodge tradition of a mountain picnic lunch, drinks included, at our secret ski-in spot on the mountain! Complimentary receptions from time to time after skiing, with wine and appetizers. 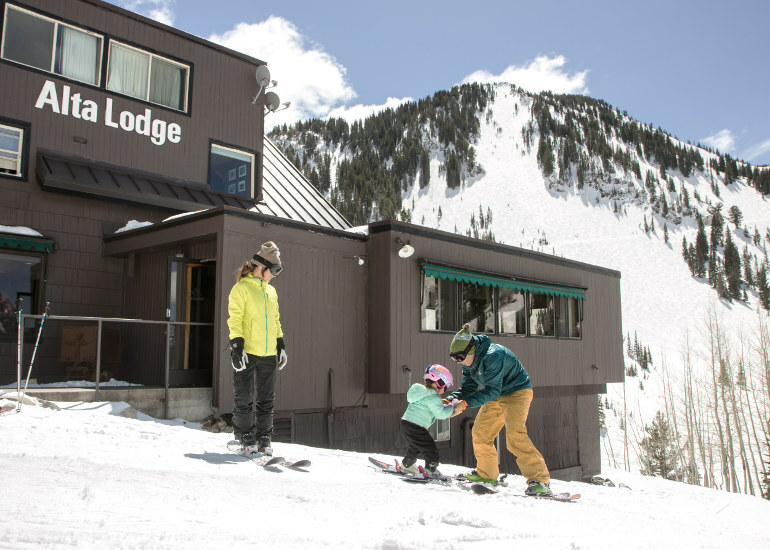 Enjoy low spring season lodging rates April 14-20, 2019 along with our Kids Stay Free program! Kids 12 and under stay free in parents’ room, breakfast and dinner included, with 4-night minimum stay.